An almost unbelievable and shocking spy revelation has been uncovered in a new report by The Daily Mail. An Iranian nuclear scientist who was smuggled out of Iran and into the UK, and then on to the United States had previously helped Israeli intelligence plan the assassination of another nuclear scientist inside Iran. Crucially, the unnamed defector was allegedly involved in the 2012 assassination of Mostafa Ahmadi Roshan in Tehran, who at the time was considered Tehran’s top nuclear expert. The defected scientist appears to have been working as a source for Mossad and other foreign intelligence agencies for years prior to what The Daily Mail is calling an “extraction” operation which began in October of last year. In 2012 the Sunday Times had identified Mossad as being behind the car bombing that took Mostafa Roshan’s life, which the defected 47-year-old scientist had reportedly supplied information for, according to sources cited in the Daily Mail. On the morning of 11 January Mostafa Ahmadi Roshan, the deputy head of Iran’s uranium enrichment facility at Natanz, was in his car on his way to work when he was blown up by a magnetic bomb attached to his car door. He was 32 and married with a young son. He wasn’t armed, or anywhere near a battlefield. 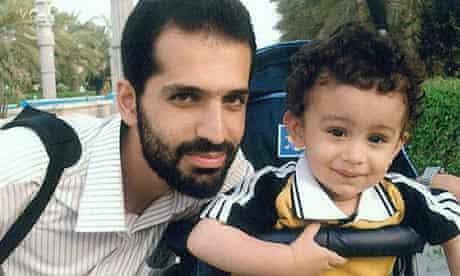 Since 2010, three other Iranian nuclear scientists have been killed in similar circumstances, including Darioush Rezaeinejad, a 35-year-old electronics expert shot dead outside his daughter’s nursery in Tehran last July. But instead of outrage or condemnation, we have been treated to expressions of undisguised glee. 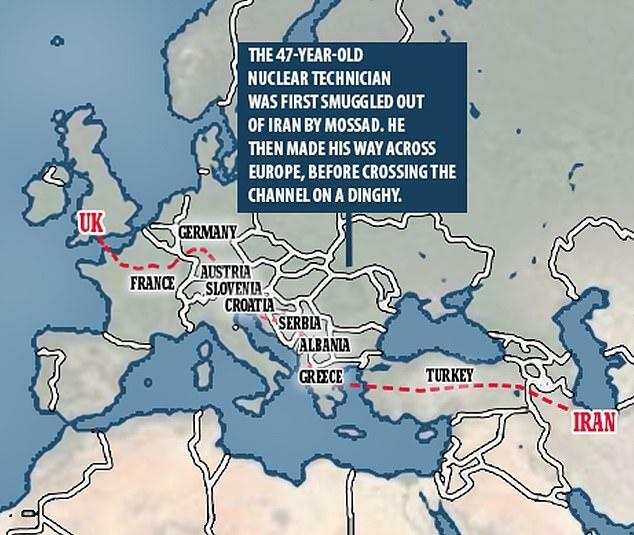 More recently in 2018, a plan was hatched to finally “extract” the valuable intelligence asset and defector, which involved Mossad facilitating his escape from Iran to Turkey, after which MI6 used the migrant crisis as “cover” for his entry into the UK. His exit immediately triggered a widespread search by Islamic Revolutionary Guard forces. Once in France, the question of how to get him into Britain remained. We couldn’t simply fly him in. Though unusual, it was determined infiltrating him into a group of fellow migrants preparing to cross the Channel by boat offered one solution. The 47-year-old man is thought to have hidden among other Iranians on an inflatable boat when making the crossing. The scientist travelled by 3,000 miles by land to the French coast near Calais after he was reportedly smuggled out of his homeland and into neighbouring Turkey by the Israeli secret service Mossad. The rationale for such a bizarre operation is that MI6 wanted to interview the defector, yet it was politically sensitive given that Britain is still part of the 2015 Iran nuclear deal. Meanwhile Israeli media outlets have picked up and begun circulating the story, which has yet to meet with any high level of government confirmation, not likely to happen in operations involving Israeli Mossad, MI6, or the CIA. If it’s true that the CIA is currently talking to a high level Iranian nuclear scientist defector now residing on American soil, could this be the next “Curveball” type informant that feeds the administration with everything it needs to make the case for regime change in Iran?